Raga Yaman, in the Hindustani classical tradition, is a romantic raga that evokes beauty, tranquility, and devotion. 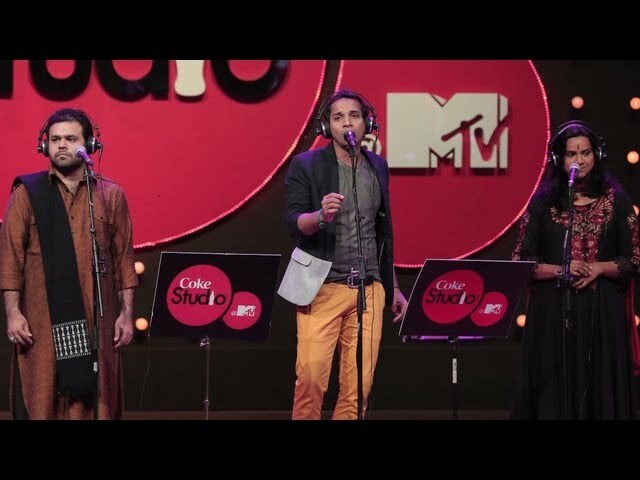 In the third season of Coke Studio, composer Amit Trivedi, well-known for reinventing the Bollywood chartbuster, used this wonderful raga to unusual effect in the song ‘Kyun Na’. Sung by Dhruv Sangari, Karthik, Chandana Bala, and himself, ‘Kyun Na’ is an upbeat number with lyrics (by Ozil Dalal) that speak of self-actualisation and consider life from a different perspective. It’s dreamy but has the energy of contemporary pop-rock. It may be safe to say that those who listen mostly to Indian classical may never have dreamed that it could be interpreted in this manner. The song begins with an almost European, folksy vibe. On the acoustic guitar, Sanjoy Das establishes the raga and the mood, following which Tapas Roy kicks the song off with a nice little riff on the charango (a 10-stringed Andean instrument) that is duplicated by Das. Finix Ramdas comes in with the Carnatic violin, playing a jaunty line that makes your hips wiggleof their own accord. The three-part vocals, along with a strong backing vocal section, are really what make this song stand out. The refrain ‘Kyun na’, delivered periodically in the form of an orchestra hit, is the first thing about the song that burrows in the brain of the listener. Drummer Darshan Doshi’s easy groove makes the song skip along while Das, Roy, and Ramdas fill the interludes with nice little riffs, a few of them in perfect unison. An interesting mid-section in the song begins with B Shree Sundarkumar on the kanjira, who starts off with a bol. Alan Desouza of the Mumbai-based a capella group Raaga Trippin’ enters unexpectedly —and tremendously —to beatbox a hip-hop beatunderneath, which Sundarkumar matches roll for roll when he switches to the kanjira. This jam leads to a jugal bandi between Ramdas and Bala, which leads to a glorious outro. ‘Kyun Na’ is an extremely interesting experiment that takes an oft-used raga and turns it into something unexpected. This is a song that has several moods: playfulness, romance, hope, wonder, and, most importantly, innocence. ‘Jaisa hai jo, tum waisa hi usko, rehno do’ goes its opening line, which translates to ‘Be yourself and let him be.’ In an era where so much of commercial music is doggedly aspirational, speaking of wealth, success, power, and sexual conquest, this is an unusual and noble thought. pathogen, only it is unlikely that anyone would ask to be quarantined from something like this.